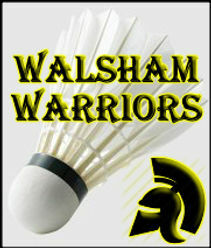 Walsham Warriors Badminton Club - North Walsham Guide is created in North Walsham for North Walsham. Badminton Club for players of League/Club level or those aspiring to be! We also have a qualified Level 2 Coach and a Racket Stringer, offering group coaching sessions every Sunday 10am-12noon for just £5 per person!